Illamasqua had been teasing us with new collection for a while now and the launch is finally around the corner. This new, dynamic range of expressive textures and shades provides the industry’s only antidote to the homogenised outdated vision of beauty. Generation Q is a celebration of beauty. Ageless, and without limits or restrictions. It’s our declaration to the world that beauty is inclusive, not exclusive. In fact, Generation Q is a clear message to everybody, everywhere that beauty is not young, old, black, white, male or female, but anything, everything and everyone. If you’re someone who does not want age to define them, don’t want to blend in and fade away, you are Generation Q. We received 3 of the coming products (Creator, Allure, Boost) to play with, test and write a review. 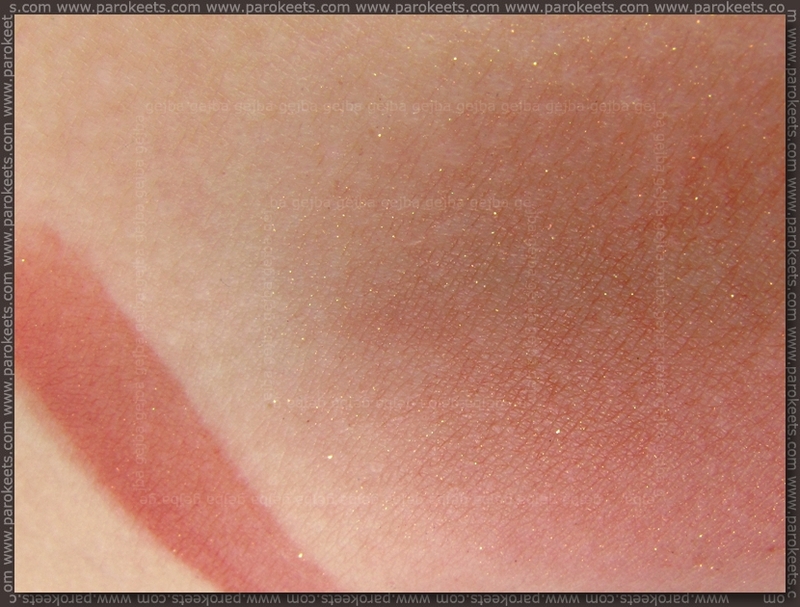 As usually, you’ll get the cut and dry description with swatches from me and something more playful from Maestra. Illamasqua Creator nail polish is black based shade with ton of silver glitter loaded into it. Like most of the seriously glittery nail polishes, this one too does not dry into high gloss finish, but top coat solves that problem … if you could even call it that. Application was non problematic and if you’re not fussy one coat can be enough. I used 2 coats of Creator and 2 coats of top coat. Shimmer is not hugely noticeable on cheeks but I prefer my blushes to be matte or with really subtle finish so I didn’t wear this shade enough to tell you about staying power … it did stayed put for the few hours I had it on. Illamasqua Boost Intense Lipgloss surprised me with its formula. Easy to apply, good staying power, nice non-sticky feel on lips, nice and not overpowering fruity smell … Color is not something I would usually wear as I don’t feel comfortable with cooler tones on my lips, but this one is not so pigmented to really bother me. Some of the items are already available in their on-line store – like 2 of my favorites from this collection … Gleam in Aurora and Complement palette. 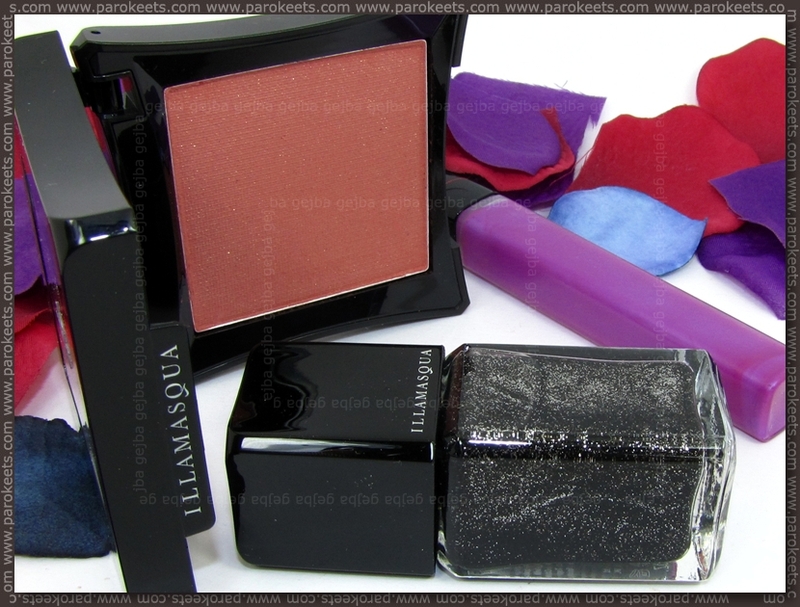 Which one is your favorite from Illamasqua Generation Q collection? How do you like their genderless campaign? Really nice products! The polish shade is very pretty, the blush shade should compliment most skin tones and I like the lipgloss because I don’t have many cool toned lippies and I sometimes just need one. Love that nail polish so much! Ponavadi imajo tako temni lakci zelo neopazne bleščice…. vaaauuu, hvala za swatche, obožujem illamasquo in se zelo veselim te kolekcije!! na moji WL so empower paletka, boost lipglos in magnetism šminka…lakca me ne ganeta, za rdečila nisem prepričana. Allure se mi zdi preveč rjav in ne vem če bi ga znala nosit?